The recent wine tasting evening was the perfect way to celebrate our 25th corporate anniversary. All the elements of a successful event were present – good food, good wine and good friends and colleagues. Thanks again Debbie helping to create our special event. Our Pop-Up Wine Shop this week was a HUGE hit! 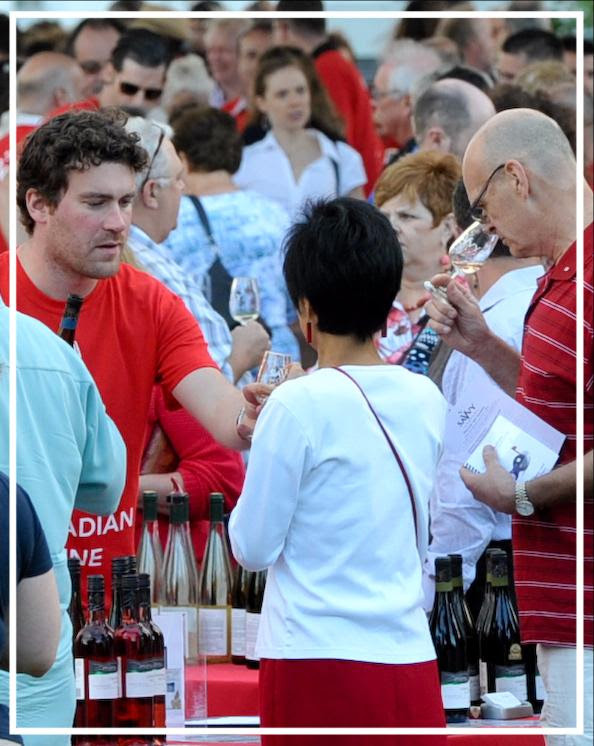 Nine wineries from Niagara uncorked over 50 different wines for fans like YOU to taste & buy. Sorry that you missed it…but the good news is that you can order online to stock up. Simply go to www.savvycompany.ca/popup & pick any combo of 6+ wines that you would like delivered to your home or office – we’ll ship for FREE. Deadline to order: Sunday April 2nd @ midnight. TIP: These wines are exclusively available from us…otherwise you have to go to the winery to buy them. You won’t find these special wines at the LCBO. Which to wines to buy? Here’s a starting point..and there’s more to order online. Just want a couple of bottles? No problem. Shipping is $15 – hand delivered by courier. IDEA: combine your order with a friend’s to make up a 6+ bottle pack & the cost for shipping will be $0. It’s THAT EASY! Have you heard? The County is coming too! County in the Capital is happening on April 20th in Ottawa at the hip new Horticulture Building. Join us at this Taste & Buy where Prince Edward County will be under one roof! 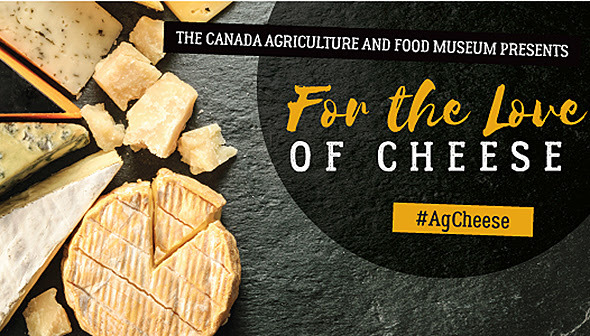 Over 20 wineries, cideries, a craft brewery, distillery & cheesemakers along with gourmet goodies will be there. Our ever-popular promo: Buy a Ticket & Bring a Friend for FREE has been extended until April 15. As a loyal Savvy fan, we are offering you a special promo code to get early access & red carpet treatment (and save $25 too). When you buy your ticket we’ll give you a complimentary V.I.T. (Very Important Taster) pass. Simply use the promo code: WELOVEPEC …Ta-Da you are upgraded! After you enter the deets for you & your friend, enter Promo Code: WELOVEPEC at the bottom of the order form. Magically you save $25 per person. 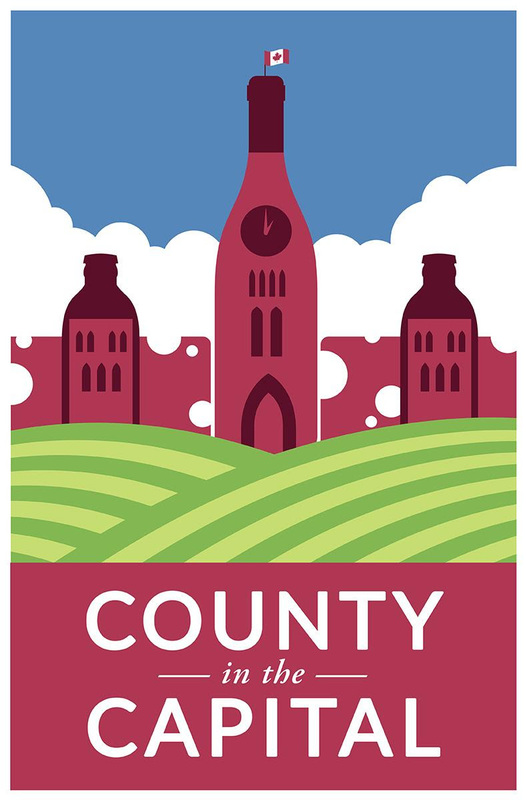 Share this with your friends, peeps & others who would like to come to County in the Capital. Hurry…only 82 tickets left before this Taste & Buy event sells out. Thank you again for ordering from us & see you at County in the Capital. PS – Spring cleaning? Found some Savvy wine tasting glasses you no longer want? Bring ’em back to County in the Capital! 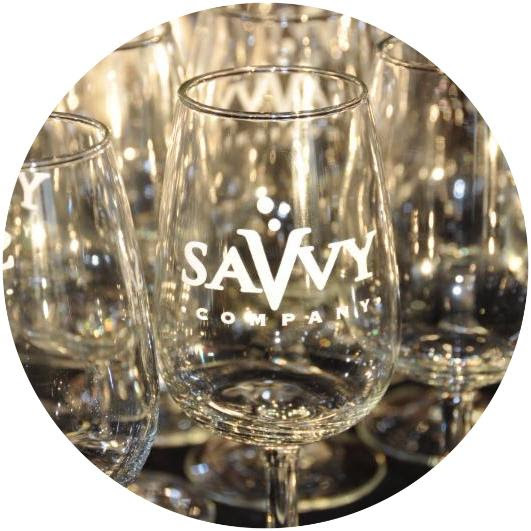 For every 4 glasses, we’ll give you a $5 gift certificate you can apply towards tickets to an upcoming Savvy Event. Psst…have you heard? We’re having our 1st ever Pop-Up Wine Shop. It’s happening next week & we invite you to come as our guest – no tickets…no cost…just RSVP! Hurry to jump on this opportunity to sip, sample & stock up for Spring (try saying that fast!). There will be newly released wines, top-selling wines, refreshing Sparkling & Whites, ready-for-spring Roses & Reds of all kinds. We have designed this Savvy Pop-Up Wine Shop just for you! There is absolutely no cost for you to attend. 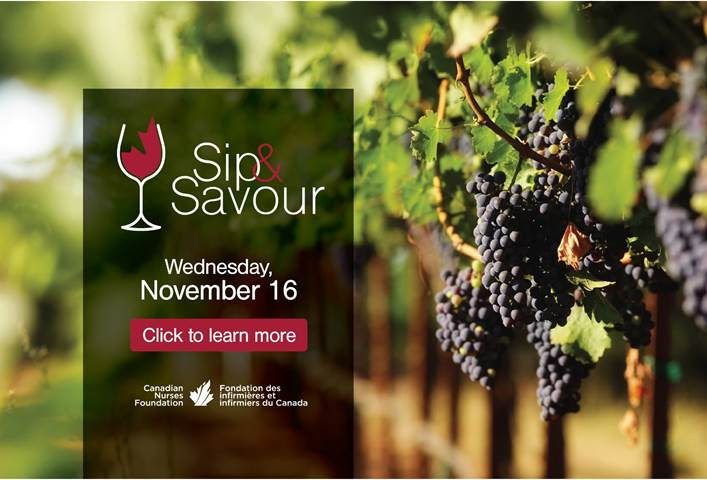 Bring friends & introduce them to the new Savvy way to shop for outstanding Ontario wines. At this Pop-Up Shop order 6, 12 or more bottles of ANY combo of your favorite wines & we’ll deliver by courier to your home or office – absolutely FREE. BONUS 50% off & INSTANT upgrades! Come to the Savvy Pop-Up Shop & when Prince Edward County is in Ottawa on April 20th for County in the Capital, we’ll give you 50% off regular tickets. PLUS we’ll automatically upgrade you to get a FREE VIT (Very Important Taster) pass! This will give you the red carpet treatment & early access to the event so you can spend more time mixing & mingling with the cool folks from The County. See you at our Pop-Up Wine Shop! Many of Ontario’s wine regions have had the first snowstorm or two, and strangely some of us are experiencing an early thaw. It is chilly enough to say that Old Man winter is here & it won’t be long until the freezing nights have the picking teams out collecting the raisened grapes that will be used in ice wine. This is a busy time for most, so while we all enjoy the great times with food and families over the holidays, the hustle and bustle can sometimes be overwhelming. Whether you need a simple entertaining idea, or want to kick back with your feet up in front of a roaring fire, we’ve selected three wines from Vineland Estates Winery to make things a little more relaxing. We hope you enjoy and have a wonderful holiday season! Ready to uncork & enjoy your Savvy Selections? In your Savvy Selections you will find 3 VERY DIFFERENT wines. 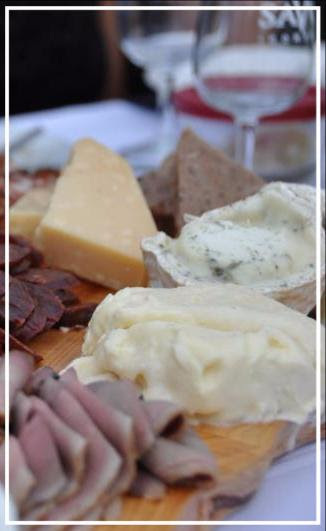 Each one has been specially selected for its unique ability to pair with food and toast the wintery holiday season. With an exquisite sparkling wine to kick off a party or ring in the New Year, an ‘oh-so-food-friendly’ white wine that you can pair with so many dishes, and finally, a bold red that will warm away the chills in front of a roaring fire, there really is something for every occasion in this shipment! 2013 Brut Reserve (Charmat Method) – A sparkling wine that fooled many on the Savvy team, who all believed it was a traditional method sparkling wine. Fresh, crisp, and fruit-forward in style, this perfect entertaining wine will have folks asking for more! 2013 Pinot Blanc – A light white wine with intriguing aromas & tastes of lemon and grapefruit, and a really interesting beeswax note. The Savvy Team keep thinking of more and more recipes to create the perfect match with this wine. 2012 Elevation Cabernet – California meets Bordeaux! Big, bold, and delicious fruit meets earthy and slightly restrained palate, with solid structure to hold for several years. OPTIONAL WINE: 2012 Reserve Chardonnay. This wine is a delicious, fruit forward Chardonnay that reminds me of a green apple clafoutis – rich and creamy, but balanced by the crisp fruit. The balance of sweet fruit and crisp acidity demonstrate exceptional restraint given the hot vintage. Want some of this incredible Chard? Just call us! We have done it again! Our Savvy Sommeliers have found wines (and great prices) that we are confident you will enjoy…every sip! Vineland has several wines available at the LCBO, but many more that do not make it onto your local LCBO store shelves. Call on us at anytime you would like additional bottles of your favourite Vineland wines – or other wineries we have featured in Savvy Selections. 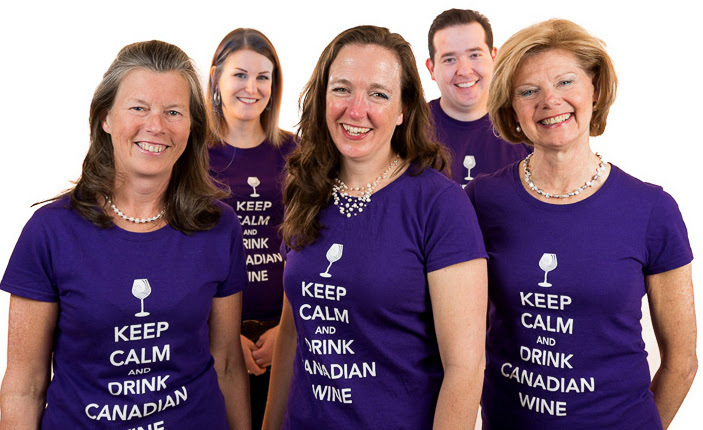 Your Canadian Wine Hotline is 613-SAVVYCO (728-8926) or send me an email to debbie@savvycompany.ca. “Unbridled, child-like passion” is how winemaker Brian Schmidt describes his winemaking style. His reply may seem strange for someone who has been making wine at the same winery for almost 24 years, but it fits Brian to a tee. Minimalist by nature, he likes to let the grapes speak for themselves. Highly regarded by his peers, his talent for making the best out of what Mother Nature throws at them, year after year, resulted in Brian receiving ‘2014 Winemaker of the Year’ from the Ontario Wine Awards. Born into the family’s winery life at Sumac Ridge in British Columbia, Brian recalls making his first Okanagan Riesling at age 13. Following his older brother Allan (now President of Vineland Estates) to Ontario proved to be a good idea, and something the entire region has benefitted from. B rian and I talk about a recent article by a New York state winemaker that alluded to the learning that comes with staying in one place. With his roots firmly planted at Vineland, Brian resonates with the article for its honesty. “Many have romantic notions of creating the perfect elixir” that involve experiences and skills learned from working at locations around the world. Brian sees value in understanding the different and emerging techniques that are having success globally, but explains the reality is a “long arduous season, working in imperfect conditions”. Make the most of what you are given requires innate knowledge of what is going on in the vineyards. As Brian explains this is the real reason that you will so often see him in the vineyard (he is famous on Twitter for his ‘Twactor Tweets’ . Follow him @benchwineguy), whether he is weeding, mowing, or trimming. His purpose is to be there and observe, day after day – “its not the same walking up and down a few rows once a week” he explains. He notes that although some of the vines have been in the ground for 35 years, you need to be nimble to catch the little clues each year. “If I haven’t made a compromise by 10 am, I’m not paying attention. Things change that fast!” he explains. Brian is well-known for his passion for two grapes: Riesling and Cabernet Franc. He has travelled other cool climate regions in Europe extensively to understand what practices and knowledge can be applied to Vineland Estates. These new ideas, bundled with the deep knowledge from continually observing his vines allows Brian to figure out which improvements have a chance of working here. Vineland grows about 12 varieties themselves, and work with other growers for the other grapes they need. Of all of these, Brian has a special fondness for the Pinot Meunier (blended with Chardonnay in the sparkling in your Savvy Selections). As this varietal has not really caught on with others, it allows him to play with it more. There’s no consumers saying “Well, it doesn’t taste like so and so’s Pinot Meunier” says Brian, obviously enjoying the freedom to experiment. This phase is one that Brian uses regularly, and breathes day to day. Passionate about increasing the overall quality of wines coming out of the region, Brian is quick to promote wines from his peers and believes that continually improving the quality of Ontario wine serves all of the wineries well. He also serves as President and Chair of VQA Ontario. But the real proof is seen in the day-to-day behaviours. Case in point, the latest piece of technology that Vineland has invested in is what Brian calls a “game changer” for the local industry. This automated optical sorter can inspect and reject bad berries and other foreign matter at lightening speed, improving the quality of the fruit going into the wines. Obviously small wineries cannot afford this type of investment, yet Brian notes that they sorted over 200 tons of wine for neighbouring wineries this year. What’s in the future for Vineland Estates? Brian wraps our whole discussion together when I ask about the future. Noting that some of his most enjoyable projects have involved highlighting the minute differences in the vineyard by producing wines from smaller vineyard blocks, Brian sees more of this in the future.Creating these wines of singular terroir expression with distinct singular personalities means a lot more work in the vineyard and offers the example of their Bo-Teek vineyard – that 60 acre block is now 15 different blocks, each imparting slightly different nuances into the vines. And that means more wines for you to try in the future! With a host of wines to choose from, the team had a hard time selecting which wines to pick for this months selections. We decided on one for celebrating (the Reserve Brut), and a food friendly white and red that we could pair with hearty winter dishes. With Ontario’s cooler climate, the wines tend towards lower alcohol levels and great acidity, making for great food pairing. Yet several recent vintages, notably 2012, saw greater heat units and more fruit ripeness earlier in the season. The red wines from these warm and dry vintages may exhibit more plush fruit flavours that can stand to be sipped alone as well as paired with big dishes. The continual variance in weather that makes wine-making so challenging also makes discovering Ontario wines so interesting! Comprised of 49% Pinot Meunier, 42% Chardonnay, and 9% Riesling, you’ll find this the perfect complement for oysters. Savvy Sommelier Tasting Notes: Fine, elegant bubbles in this almost clear sparkler invigorate and refresh your palate. There’s a light sweetness of white flower honey, green apple and light stone fruit notes at first, and then the citrus kicks in and cleanses the palate with a lemon peel finish. There’s also a hint of spice on the finish that reminded us of fresh ginger. Suggested Food Pairings: While immediately think of sparkling wine with oysters or other shellfish, this is a very versatile wine that works with many different dishes. Open it with canapés toasting in New Year’s Eve, with simple fare such as our fish taco recipe, or even simple snacks like potato chips in front of a movie – life is good! Cellaring: Drink lightly chilled around 7 to 10ºC. As Brian himself describes it “…takes me back to a childhood memory of sitting on a sunny hill, chewing on the white stalk of a new blade of grass”. Savvy Sommelier Tasting Notes: This is a really intriguing wine that changes while in your glass. At first, the nose is dominated with beeswax and honey notes, and the fruit takes a backseat. As the temperature comes up, the fruit explodes out of the glass with lemon-lime, peach, and hints of nuttiness and under-ripe pineapple. Dry grapefruit finish begs for another sip! Suggested Food Pairings: Another versatile wine that will work with many dishes. The Savvy Team immediately thought of roast turkey or chicken, cream soups, or fish and chips. See our recipe for bacon, corn & potato chowder on the following pages. Cellaring: Drink now. Can serve between 5ºC to 10ºC with more opulent fruit notes emerging at the warmer end of the spectrum. With winemaker Brian Schmidt being well known for his Cabernet Franc, we had to give you a glimpse of the stellar red wines that Vineland also produces. This blend of 80% Cabernet Franc and 20% Cabernet Sauvignon from a stellar growing year exemplify that Ontario can make great red wine as well as whites. Savvy Sommelier Tasting Notes: Fantastic growing conditions in 2012 give us a big, rich red wine that some say are like “Napa Valley meets Bordeaux”. Rich, dark brooding fruit greet the nose, with some earthy and leathery notes following. With a plush, full mouthfeel, the black cherry, cassis, and ripe plum flavours are balanced with moderate acidity and fine tannic structure. Over time, some lifted menthol and sweet spice notes emerge, and the palate adds light mocha notes. This is a wine that evolves over the evening, and we encourage you to do that if you can! Suggested Food Pairings: Calls for beef bourguignon, beef stroganoff, or venison stew. Cellaring: Drinking well know, can cellar for up to 5 years or more. Served with a tartly dressed green salad, this soup is hearty and filling enough for a light supper. I like the convenience of using chicken broth, but if you have a good beef broth on hand, feel free to use it for even deeper flavor. Cook the fish as you like – fried in butter, or poach it in lightly salted water. Fry for 3-4 minutes per side if frying, or simmer for about 10 minutes until the flesh is flaky if poaching. Once done, remove and beak into smaller pieces to fit in the tortilla shells. Keep warm. Cut the Savoy cabbage across the grain so you have long thin strands of cabbage. Mix the mayonnaise & lime zest together. Whisk in the lime juice a bit at a time. You want a thin sauce but not too watery. Add some salt and pepper to taste. Place fish in tortilla shell (I like to lightly warm mine over a gas burner on low). Top generously with cabbage, green onion, and a few sprigs of Coriander. Drizzle generously with lime-mayonnaise sauce and a spritz of fresh lime juice from the wedge. Sling the butter into a soup kettle and melt over medium-high heat. Add the bacon and cook till crisp. Scoop out the bacon and drain on paper towels. Save for later–don’t nibble too much. Pour off all but 1/4 cup of fat from the pot. Toss in the onions and peppers, seasoning them with a pinch of salt and pepper. Cook till soft and then throw in the garlic, cooking it all for 1 minute more. Sprinkle on the flour and mix into the veggies. Dump in the broth and potatoes. Cover the pot and bring to a boil; then lower the heat and simmer for 10 to 12 minutes, or till the potatoes are tender. Add the shredded carrots and corn. Cover and simmer everything 5 to 6 minutes longer to blend the flavors. Stir in the half-and-half. Season with the thyme, cayenne, some more salt, and lots of freshly ground black pepper to taste. Sprinkle with parsley and the bacon bits you’ve been saving. Give it one last stir, and ladle it up piping hot. In a large frying pan, brown all sides of meat in oil in small batches. You don’t want it cooked through – just browned on the outside. Remove meat from pan and place in slow cooker. Repeat until all the meat has been browned. Add and brown the onions & garlic in the drippings, adding more oil if required. Once browned, add the onions & garlic to the slow cooker as well. Deglaze the pan with a cup of beef stock and add it to the slow cooker. Sprinkle the beef and onion mixture with the paprika and stir in the can of tomatoes. Add more beef stock as required to cover the meat. Cook in the slow cooker on high for an hour, then drop the temperature to low and cook for another 2 hours. Add the chopped red bell peppers and cook for another hour on low. Taste, and add salt and pepper as required. You may also want to add more paprika if you like it spicy. Serve over mashed potatoes or buttered egg noodles, paired with Elevation Cabernet! & Enjoy your Savvy Selections! Every glass of wine should taste exactly as the winemaker intended. Wine Industry Leaders Allan and Brian Schmidt in partnership with Cameron West expand wine-on-tap category. FreshTAP is growing fast. With its newest expansion into Toronto and the Ontario market, British Columbia-based FreshTAP Pouring Systems promises wine lovers across the province a carefully curated range of Smarter, Fresher, Friendlier local VQA wines on tap, by the glass to an ever more discerning community of restaurateurs and wine lovers. From its 5,000 square foot facility in the Niagara Peninsula, FreshTAP Ontario kegs wines from Creekside Estate Winery, Henry of Pelham Estate Winery, Mike Weir Winery, Stoney Ridge, Reif Estate Winery, and Vineland Estates into 19.5L stainless steel kegs—the equivalent of 26 bottles or 130 five-ounce glasses. Held under the gentle pressure of an inert gas, each wine is perfectly preserved from oxidation for up to eight months once tapped, ensuring that the last glass is as fresh as the first. FreshTAP is currently featured in Toronto at popular restaurants such as Rock Lobster, Drake 150, Montage and Walhburgers, and ONE Restaurant by Mark McEwan. FreshTAP has also installed seven, five-tap systems and a portable wine-on-tap unit at the new 5,300 seat Meridian Centre in St. Catharines. “Wine-on-tap is the hottest trend in restaurant wine service across North America right now,” says FreshTAP Ontario’s Cameron West, who, alongside Vineland Estates Winery’s Allan and Brian Schmidt, has brought FreshTAP to Ontario. The sons of a third-generation winemaking family whose father founded B.C.’s Sumac Ridge Winery, the Schmidts have been pioneers and industry leaders in the Niagara wine region for over three decades. From the point-of-sale perspective, FreshTAP ensures the utmost quality in wine-on-tap by-the-glass, with less spoilage and waste, greater efficiency for restaurants, and a more positive environmental impact. Based on current clients and licensees, FreshTAP Ontario estimates it will keg over 100,000 liters of wine in its first year (2014-2015), thereby eliminating more than 15,000 lbs of cardboard waste and diverting some 130,000 bottles, caps and corks from Ontario’s recycling and waste streams. Since launching in British Columbia in 2011, FreshTAP has kegged over 320,000 liters of wine, eliminated 52,201lbs of cardboard waste and kept 429,052 bottles, caps and corks from entering that province. In addition to its Ontario vendors, FreshTAP is also available at over 150 restaurants and public venues across Western Canada such as Vancouver’s Rogers Arena, Delta Hotels, and 14 of The Keg Steakhouse locations throughout British Columbia and Alberta. Business partners Mike Macquisten and Steve Thorp founded FreshTAP in February 2011 in Vancouver, British Columbia. Wine-on-tap from stainless steel kegs provides a sustainable, environmentally friendly wine delivery system and FreshTAP enables the wine and hospitality industries access to this uniquely green category. With more than 150 wines now available via FreshTAP stainless steel kegs, this system provides hospitality locations throughout Canada with an easy solution for delivering wine-on-tap to their customers. In 2014, FreshTAP saw a new operational expansion into Ontario making the brand both the pioneer and leader in the wine-on-tap movement in Canada. 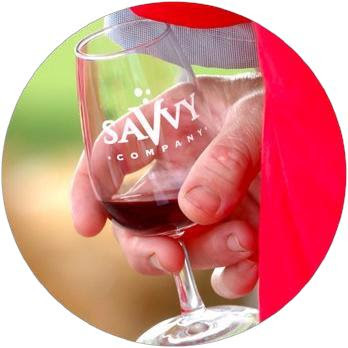 All of us at Savvy Company love wine & we love to have fun introducing you to new wineries & their wines. Last week we hosted 20+ wineries from Niagara’s 20 Valley to strut their stuff at Outstanding in their Fields Taste & Buy event in Ottawa. 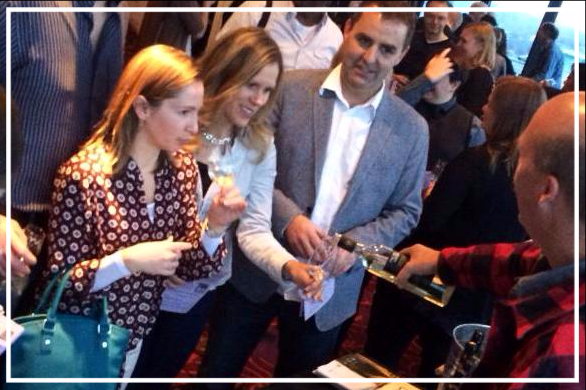 Despite the first big snowstorm, the event was sold out & received many rave reviews from wine lovers & wineries. Here is a great review from one the bloggers – Jane Staples – who offers wine tips to help you start your Christmas shopping! A sold-out winetasting event at the NAC last night, showed how delightful a Savvy wine tasting can be. Over 300 people braved the slippery streets to be greeted warmly by Savvy Company staff. Dozens of outstanding wines from Niagara’s Twenty Valley wine region were available to taste and to order. This is probably the most fun you can have while doing some holiday shopping and stocking up for home entertaining at the same time. A disc jockey and a raffle added to the fun. I started the evening’s tasting with some bubbly from Cave Spring: lovely green apple and citrus on the nose and palate, a fine creamy fizz and a long citrus finish made this a perfect way to wake up the taste buds and start the tasting adventure. My favourite wine discovery (after all, I already knew that I love champagne) was Kacaba Pinot Noir VQA 2007. Earthy, plummy, tart fruit flavours and well-balanced acidity and tannins. Sure to pair well with roast pork, duck or turkey. Another happy find was Green Lane Chardonnay VQA 2010. Fresh citrus and pear on the nose, repeated with subtle oak and vanilla on the palate. Definitely a wine worth remembering. Last stop was at the Vineland Estates table, where I sampled their 2011 Rose. If you like strawberries or dreaming about summertime, this one’s for you. Fresh strawberries on the nose and tart berries on the palate, which sweetens during a lingering finish. Want to order these outstanding Ontario wines? No problem! 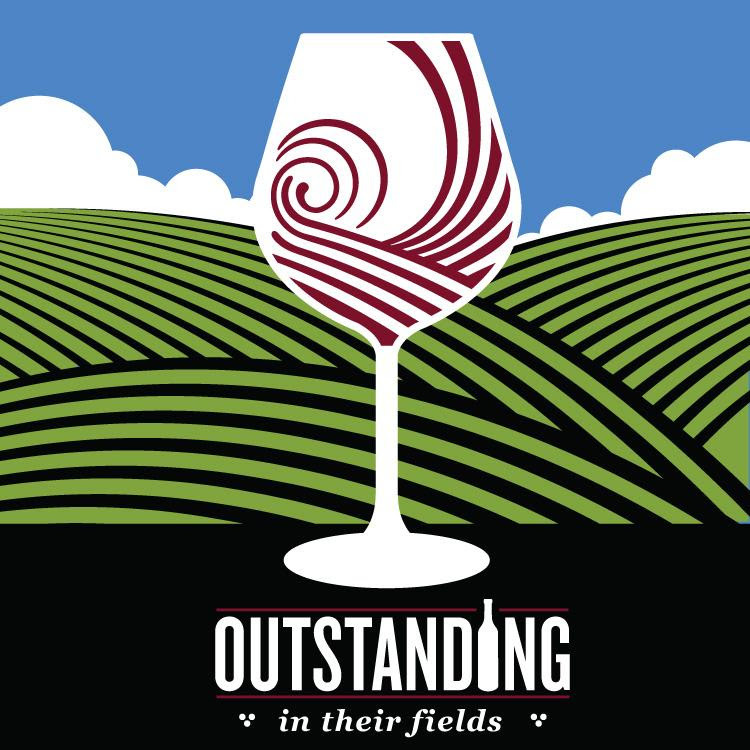 You can order any of the wines featured at Outstanding in their Fields online or call the Savvy Team anytime on 613-SAVVYCO (613-728-8926) to make arrange a shipment of Ontario wines for you. Place your order before December 8th to take advantage of the free shipping offer on a case of wine. 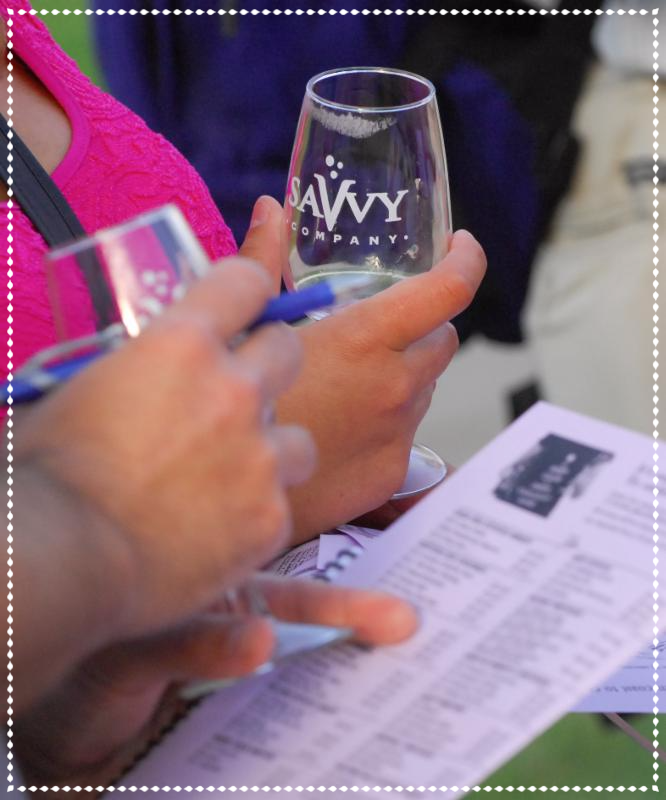 This was Savvy’s last wine tasting event til 2014…we can’t wait to see what the New Year brings! Hats off to Savvy Company for another terrific wine event! 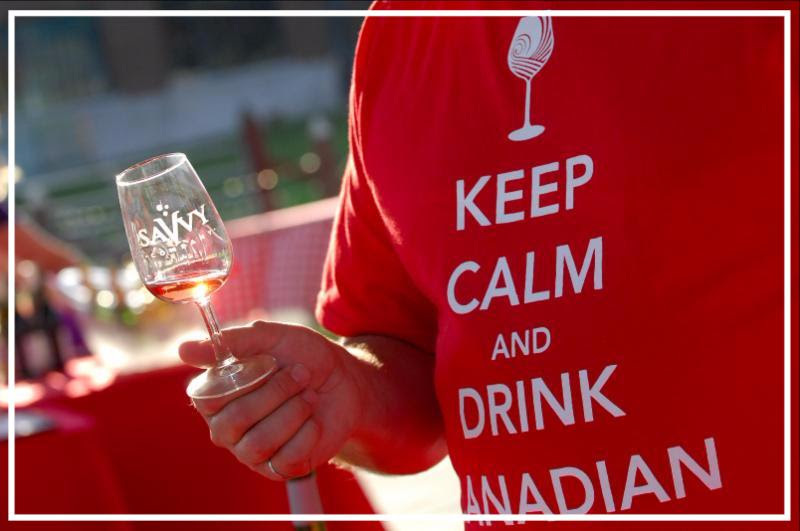 Savvy Selections is all about discovering premium wines made by winemakers across Canada. This month we have made an incredible – not to mention delicious – discovery when we opened top-of-the-line wines from Vineland Estates Winery of Niagara. Elevation Series Riesling VQA 2007– a signature grape variety of Vineland Estates. This is the best of the best! Elevation Series Cabernet VQA 2007 – a blend that has won numerous awards recently that the winery has just relabled the bottle to accommodate all of the accolades! Vineland Estates and its owners – the Schmidt family – are familiar to many Canadian households for quality wines. More importantly, they have leant a hand and their knowledge to grape growers, restaurants and start up wineries all in effort to help build a vibrant wine industry in Ontario and across the country. Even Brian Schmidt, Vineland’s esteemed winemaker, helped by supporting an event that The Savvy Grapes was involved in during our early days of being business…and look at us now…showcasing his premium wines to our Savvy Selections subscribers. Thank you Brian! In this Savvy e-Zine, read more about Brian’s down to earth winemaking style that fascinated 0ur Savvy Sommelier Wayne Walker during his interview. As always, you will find our Savvy Sommelier tasting notes and summer recipes chosen to pair with the selected wines. The Elevation Series wines will take your taste buds to new heights. When you would like more of these wines or other wines from Vineland Estates, simply call me at any time to make the arrangements for a delivery. 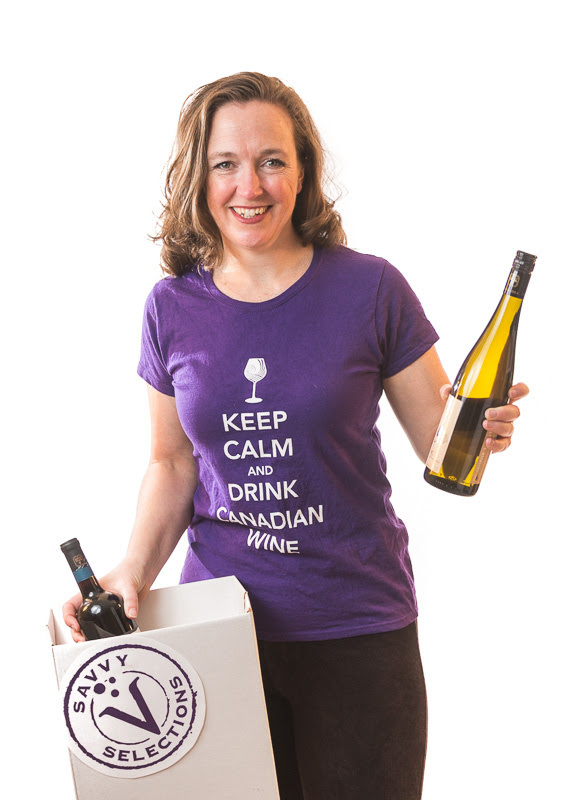 The wine can be sent to any Ontario address: to your home, office or even cottage. Put us on speed dial! Savvy Company 613-SAVVYCO (728-8926). Cheers, enjoy and most of all enjoy your summer! Off the beaten track, yet on a well traveled route, turn off the Q.E.W. at exit 57, head south on Victoria Avenue into the area known as Vineland. A quick right turn on Moyer Road will bring you to a remarkable landmark: a stone tower that marks the site of an 1860’s Mennonite homestead and now the home of Vineland Estates Winery. According to winemaker, Brian Schmidt, this is the site of the “fortunate happenstance” by Hermann Weis of Mosel, Germany in 1979. Weis attested that vinifera (winespeak: pure grape varieties – example Cabernet Sauvignon, Riesling, etc.) could not only survive, but flourish in the clay and limestone soils of Niagara. This brought about a “natural evolution” that Allan Schmidt (Vineland’s General Manager) and his brother Brian Schmidt have vigorously cultivated since assuming the direction and development of the winery in 1988. Brian goes on to explain, “For Riesling, we can typically get 18 to 18½ Brix (winemaker’s term for measurement of natural sugar content in grapes) consistently at each harvest. I stylize the winemaking so the acidity is adequate, yet not overpowering. It is this balanced approach that makes a great tasting wine like Elevation Riesling with only 8% alcohol and 20 grams of residual sugar.” With this explanation, our Savvy Selections tasting panel knew that it was a natural fit to include Vineland’s top end Riesling in this month’s selection. For this reason, in some years, Brian does not craft particular wines in his portfolio. Simply put, due to rain or lack of sun hours or other natural affectations, he will not comprise quality or Vineland’s esteemed reputation with a sub-par wine. Vineland loyal customers and restaurants have expectations when they uncork a bottle of Vineland wines. Our Savvy Selections tasting panel were impressed with each of the four wines in Vineland’s Elevation Series, making it difficult for us to only pick three to showcase this month. In addition to Riesling, Brian is inspired when he talks about Cabernet Franc and Sauvignon Blanc vineyards and the wines. In his opinion, both are very well suited to Niagara terroir resulting in complex wines. Vineland Estates is very proud of the success of its Elevation wines in the marketplace and at wine competitions. As a sommelier, I think that with every sip of Vineland’s wine you can taste the evolution of a winery that aims to create not only great wine, yet wine with unique character – its food friendliness, its winemaking philosophy and its sustainability. Cheers & Enjoy! The fruit for these wines is harvested from the highest elevations on the property allowing them to take full advantage of temperature fluctuations (difference between day and night temperatures) that are generated by the Beamsville Bench – part of the Niagara Escarpment – along with the gentle breezes of nearby Lake Ontario. Combined, these help generate fresh acidity, ripe flavours and silky textured wines. Savvy Sommelier Tasting Notes: Pale yellow, clear and reflective, tickles your nose with aromas of clover honey, ripe apple and apricot. A soft steely texture with apple and apricot integrated with pink grapefruit. The intensity of sweetness and acidity makes for a distinct crisp taste experience – perfect for summer sipping. Suggested Food Pairing: Serve chilled (at about 11C) on its own or with food. Quiche, ceviche, curry dishes and ginger infused desserts. With its intensity and natural sweetness of this wine, Japanese dishes like Sushi, Shabu-shabu, Tempura or Ootoro are especially tasty – try your hand at our rolled sushi recipe below. Cellaring: No need to wait – this wine is ready to drink this summer. Also produced with grapes grown on the Beamsville Bench, subtle barrel aging adds to the complexity of its ripeness and silky texture. This is a white wine that any red wine drinker will enjoy. Savvy Sommelier Tasting Notes: A reflective pure straw colour, this medium-bodied wine presents good fruit aromas of crunch apple (spy apples in particular? ), fresh nectarines, tangerine with a hint of pencil shavings (do you smell this?). Apple. herbs and lemon follow through on the palate and offer a balanced experience held together with good acidity and soft tannins. A medium aftertaste of apple and lemon-pepper leave a reflective impression. Delicious! Suggested Food Pairing: This wine is like a cross-over vehicle when it comes to food pairings. It can match well with the lighter sides like fruit salads, Caesar salad, shellfish (raw and steamed). While it can also carry larger foods like honey-barbeque chicken wings, fish chowder and soft cheeses. In the meat category. oven-roasted pork, grilled chicken or white fish with garlic or citrus marinade. Believe it or not a perfect complement with this wine is POPCORN – especially caramel corn! Cellaring: Drinks like a dream right now. Cellaring shouldn’t exceed 2 years if you want to maintain present levels of fruit flavour. Serve at 12C to 14C. Another ‘Elevated’ experience, that takes advantage the micro-climate, it benefits from the experience and expertise of Vineland’s esteemed winemaker and friend of Savvy Company – Brian Schmidt. A blend of 70% Cabernet Franc (a very successfully nurtured grape in Niagara) and 30% Cabernet Sauvignon, the sweet red bell pepper flavours of Cabernet Franc have been supported by the dark-fruit sweetness of Cabernet Sauvignon in an extremely well crafted and well-balanced wine. You are the first to receive this bottle sporting the new label that celebrates its string of recent awards – Savvy Selections membership has privileges! Savvy Sommelier Tasting Notes: A rich, transparent medium-bodied wine with aromas of ripe red berries and cinnamon then after the wine breathes a bit, the aromas extend into sweet bell red pepper, dark fruit (do you find figs and plums) and dark chocolate. The flavours evolve too! Dark juicy black cherry, mulberry, warm spice, toffee and even lemon pepper, finish off with subtle dry tannins, good acidity and warmth. A balanced experience whose medium finish leaves reflections of spicy, dark fruit. Suggested Food Pairing: Certainly this wine qualifies for the BBQ season! Pork chops and ribs would match best, especially when dry rubbed with herbs and spices. Tomato-based pastas, lasagna and even smoked ham would be delicious. A meal of middle-eastern or Greek cuisine lend themselves to a great match too. BBQ foods aside, probably one of the best selections would be thin crust gourmet pizza – a favorite recipe is below. 1. Place rice in a colander. Rinse thoroughly. Drain. Put in cold water in saucepan and bring to a boil. Cover pan and turn heat to very low and cook for 15 minutes without lifting the lid. Turn off heat and allow to stand for 10 minutes more still covered, then spoon rice into large bowl. 2. Mix together the vinegar, sugar and salt in a small bowl until sugar dissolves then drizzle mixture over the rice. Mix together gently to completely coat rice. Set aside to cool to room temperature. 3. Toast each nori sheet very lightly by passing back and forth over hot stove burner. Don’t get it too close to the heat or it will quickly burn. 4. Spread rice evenly on nori sheet on bamboo roller. Put seafood filling across centre of nori on top of rice. Roll up bamboo mat pressing forward to shape the roll. Press bamboo mat gently to shape and firm up sushi roll. Remove roll from bamboo and with a sharp knife that you wet with water, cut roll into 2 inch slices. 1. In a medium bowl combine oil, lemon-lime beverage, soy sauce and garlic powder. Stir thoroughly. 2. Put chicken and mixture together in sealed Ziploc bags or plastic container and marinate in refrigerator for 12 to 18 hours (6 to 9 hours if using boneless, skinless breasts). 3. Barbeque slowly — don’t overcook. Turn often and baste with mixture on each turn. Cook until meat is no longer pink in the center and juices run clear. Discard remaining marinade. 4. Depending on marinating time and cooking method the amount of marinade consumed will vary. 1. Preheat oven to 450F. If using a stone for baking, allow oven and stone to heat for 15 minutes before cooking. Otherwise, use rimmed baking sheets and parchment paper and place racks in the upper and lower thirds of the oven to preheat and cook. 2. Heat one teaspoon of Olive oil in a sauté pan on medium heat. Add onions and stir until they soften. Add pinch of sugar and the Balsamic vinegar. Stir in mushrooms, spinach and red pepper slowly. Add more Olive oil if required. Cook until onions have softened and spinach is beginning to shrivel. 3. Sprinkle some corn meal on your pizza wheel (or rimless cooking sheet) and place tortilla on top and brush with Olive oil. If you are using rimmed cookie sheets, put parchment paper on sheets, brush with Olive oil and put tortilla on top then brush tortilla with oil. 4. Sprinkle each tortilla with ½ cup shredded Asiago cheese. Sprinkle with cooked onions, mushrooms, spinach and peppers then add bits of Ricotta cheese. Sprinkle lightly with salt and pepper. Brush lightly with Olive oil if you wish. 5. Bake until crust is crisp and very brown (5-7 minutes if using a stone. Start with 10 minutes if using cookie sheet and check it for crisp brown texture from there.) Cut with a pizza cutter and serve. Cheers to “Elevating” your summer!